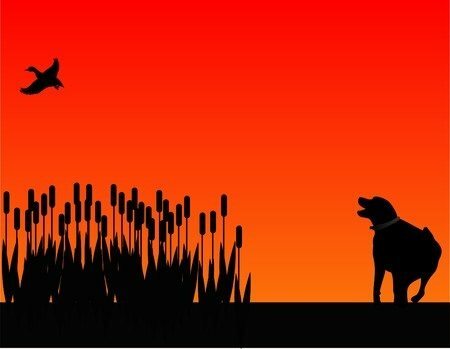 Do you know if your dog exhibits some of the key traits commonly associated with hunting dogs? Many dog breeds, Labradors included, were originally bred to assist owners with hunting tasks. Many dogs have heightened senses of smell which often make them good hunters. However, any dogs would not make great hunters. Hunting dogs were bred to detect, track, catch, and retrieve their prey but their most important trait is a strong sense of smell. The first thing most hunting dogs do to detect prey is to identify them by scent. Another key trait in hunting dogs is a keen sense of sound. If your dog is quiet and patient when they hear a strange noise, instead of fearful, they might make a great hunting dog. A dog’s temperament is also important: the ideal hunting dog is naturally calm and submissive, taking cues from you often. In many cases, when a hunting dog doubles as a family pet, this trait is vital. If your dog loves to play fetch or of retrieve things for you, they would make a good hunting dog. You should be your dog’s “center of gravity.” If they go off to find something, they should bring it back to you. If you find that your dog does this while playing, they’d likely make a great hunting dog. Great hunting dogs also have good energy and stamina. Hunting isn’t an easy sport for a dog, so if your dog tends to be lazy or uninterested in games, they may not be a good hunter. Labradors often make great hunting companions, as well as household pets. KT British Labradors are a breeder that proudly serves residents through Minnesota and beyond.